Paul Smith documents the bizarre medical journey that led to the death of Hamid Khazaei, the immigration detainee who fell victim to the muddles of Australia’s massive off-shore detention regime. 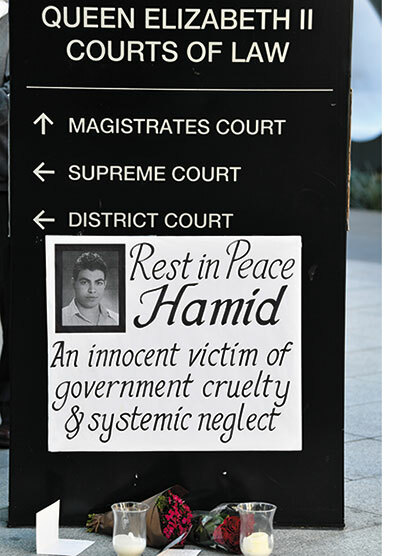 Hamid Khazaei was a breathing corpse when he finally reached Australian soil. As he was wheeled into the ICU at Brisbane’s Mater Hospital, the Iranian asylum-seeker, who was plucked from a people smuggler’s boat just one year before, was on the verge of brain death. This journey was a result of cascading misfortunes — persistent and savage — that had beset him since he turned up at the medical clinic at the Manus Regional Processing Centre four days earlier. At the time, he had a slight fever and a small lesion on his lower left leg. For many, his fate has become another indictment of Australia’s offshore detention regime, offering a narrative that the media likes best, with dark-hearted immigration officials over­riding the clinical decisions of doctors fighting to save his life. Judged against last month’s inquest report, this involves a wilful misreading of what happened. There were bungles on both sides — although you will always feel the demands on the Manus Island doctors were far greater than the paper-shuffling required of the bureaucrats. Hamid first attends the Manus clinic on 23 August, 2014. The clinical presentations seems simple enough. But the clinic, run under contract by healthcare corporate International Health and Medical Services (IHMS), is so poorly stocked that it has no basic antibiotics to treat the infections usually found in the region, including Hamid’s. The doctors administer ceftriaxone and paracetamol. When that fails, they prescribe benzylpenicillin and azithromycin. His condition deteriorates and on the morning of 25 August the doctors worry that sepsis has set in. Dr Leslie King, a US-trained emergency physician, decides Hamid needs an urgent transfer out. The best option is a 5.30pm commercial flight that day to Papua New Guinea, and Hamid can be escorted by a senior medical officer who’s already booked on the flight. The idea is to get him to the Pacific International Hospital in Port Moresby. 'P Block' in 'Foxtrot Compound' on Manus Island, where Hamid lived. So the clinic’s GP, Dr Marten Muis, a man on the second day of a new posting who knows little of the nature of the labyrinthine world he has entered, fills out a Request for Medical Movement (RMM) form. This is then sent to the IHMS area medical director, Dr Anthony Renshaw, back in Sydney. Another version will then be created by IHMS staff before being dispatched via email to the immigration department. The form documents the lack of antibiotics and microbiological investigative diagnostics in the Manus clinic, and spells out the doctors’ view that they have exhausted all care options. The request is urgent. But semantics are different in the immigration department and ‘urgent’ doesn’t necessarily mean ‘urgent’ in the medical sense. As a result, the impedance is already high when the department’s wires begin to fizz in response to Hamid’s predicament. Caroline Gow, the department’s health liaison officer, is the first official to see the RMM. It arrives in her inbox at 12.30pm. She will tell the inquest it was usual in the department for any medical transfer to require 72 hours before approval, whether it was identified as ‘urgent’ or ‘non-urgent’. To guarantee what she describes as “an absolute degree of urgency”, doctors must request a medevac. For the department, this would mean “get the client off as soon as possible”. But a medevac is not mentioned in the paperwork, nor is it written down that the IHMS doctors want permission for the 5.30pm flight departing that day. Yes, Ms Gow acknowledges at the inquest, there is a box on top of the RMM form called the Clinical Priority Access Criteria category and this has been filled in as ‘1: Urgent’. But this was “a bit confusing”, she says. Whether anyone would understand the significance of “urgent commercial” outside the private language games of the immigration department is a question not pursued in the inquest report. But Ms Gow has no deciding powers anyway. Her task is to look at it and send a summary of the RMM to her senior, the immigration department’s director of health operations, Amanda Little. This email is also marked ‘urgent’. It is now 1.15pm. But there are delays. At this stage Ms Little is aware of a flight that afternoon but is under the impression that the only commercial flight available to the department is 11am the next morning. She is also in meetings that afternoon [see the footnote] so the email sits in her inbox unread for four hours. At the very moment when Ms Little does return, the commercial flight is leaving the Manus runway without Hamid. A trained nurse, Ms Little is initially confused by some of the details she reads. She wants to know why Hamid cannot be managed at the clinic or at the local hospital. She will later explain she was not trying to override medical judgement, but simply ensure there was sufficient detail in the RMM before sending it upwards. Immigration official and former nurse Amanda Little (pictured) says she was just another ‘escalator’ in the process, not a decision-maker. Ms Little sends her questions. Dr Renshaw, who seems exasperated, picks up the phone and rings her directly. Reassured by his response, at 7.26pm she sends the RMM to Paul Windsor, an assistant secretary with the immigration department. But there is a problem. He’s left for the day and won’t return until the morning. Back on Manus, the doctors are trying to find out what is going on. They are ringing their bosses back in Sydney. The delays are apparently related to visa issues, at least that is what they are told. While Hamid is ill, he is walking around. But the clinical blunders are now starting to accumulate. As the doctors say, there are no suitable antibiotics. But the clinic’s drug armoury contains gentamicin. Although it’s not documented in the clinical notes, they discuss administering the drug, but opt out. “We were afraid,” Dr King will tell the inquest. “I don’t want to say that I was being hard-minded or anyone else was. "We decided against it just at the time because we had no lab [see footnote] and we had no chemistry and we could not monitor his renal function, so we had no way of monitoring toxic or non-toxic gentamicin levels. "We knew he was dehydrated, we knew he was febrile, we were really afraid for his kidneys. As the night progresses, Hamid starts vomiting. Physically, he still doesn’t look too bad but the numbers being recorded by the clinic’s staff suggest a different picture. He remains afebrile but is consistently hypotensive and tachycardic despite IV fluid support. In the early hours of the morning, his oxygen saturation drops to 86% on room air, with a respiratory rate of 26, and he is starting to become combative and refuse analgesia. When the morning comes, he is assessed by Dr Muis. “He was the most awful colour that I’d ever seen in a human being. He was a grey, purply colour. He was breathing very rapidly, probably well over 30,” Dr Muis will tell the inquest. Having still heard no news back about the fate of the transfer request, another call is made to the IHMS managers to get Hamid out. The calls again go to Dr Renshaw. This is an emergency. Septic shock is mentioned along with a request for a medevac rather than a commercial flight due to depart in a couple of hours time. What Hamid requires now is intubation. But this doesn’t happen either. Dr King was again questioned about her clinical reasoning during the inquest. “The thing is, keeping him long-term intubated was not really something I wished to do. "I did not think we were in the right setting for that ... I couldn’t get any clarity on when exactly anyone was arriving [as part of the medical transfer] and at what capacity. As Hamid is taken to the clinic’s resuscitation room on Manus, Paul Windsor is turning up for work. It’s 8.30am in Canberra. He reads the email sent by Ms Little the night before. It’s been 24 hours since the non-urgent urgent request has been made, but again Mr Windsor — despite his Senior Executive Service band 1 grading — is not a decision-maker in a non-emergency situation. He’s simply another departmental escalator, so he forwards it for “urgent consideration” to his superior, first assistant secretary John Cahill. Mr Cahill is the wizard of immigration Oz with his fingers on the special effects. He reads the email. He gives his approval for Hamid’s transfer. Based on the email time stamps, this decision takes the ultimate decider less than three minutes. Hamid appears to have his magic ticket. But back on Manus, his rapid deterioration brings a new debate. Isn’t this getting so bad that Hamid should be airlifted to Brisbane for treatment? This is where the 24-year-old’s alternative live-or-die futures start to spin at a blurred velocity. A medevac to Brisbane could work, providing the forms contain words such as ‘critical’ and ‘life-threatening’. Australia is the gold-standard option, but the IHMS doctors on Manus and back in Sydney know this request will face the greatest resistance. All alternative medical options should be considered before bringing any detainee to Australia, according to policy. Conscious that time is critical, it seems that they talk themselves out of it. The system does the thinking for them. You sense Mr Cahill might have been somewhat bewildered by the doctors’ muddles. He later told the inquest that ministers had made it clear that people “relocated to regional processing centres” would not be settled in Australia. But that did not remove Australia’s responsibility to ensure “that persons who actually needed medical treatment that was not available locally, had access to that treatment in Australia”. “Essentially, there was a progressive escalation of treatment options [for the Manus doctors],” Mr Cahill says. “So if a transferee became ill and ... satisfactory treatment was not available at Manus Island ... then the next escalation point would be the [Manus Island] hospital. “If it was not possible to obtain the necessary treatment there, then the next escalation point was Pacific International Hospital [on Port Moresby]. Yes, this involved what he describes as “judgements”. It also involved significant cost. And it required “senior visibility”, he says, a reference to his role as the department’s high-level decider. All they had to do was say so, it seems. By this stage Hamid is critically ill. But his paperwork says Port Moresby, so he is driven by ambulance over a rotten road riven with huge potholes to the airstrip 30 minutes away. On the runway tarmac, there is another opportunity to intubate him. It isn’t taken. When asked, Dr King says she didn’t want to “impose my will” on the flight’s medical crew. This crew includes Dr Arvin Karu, an anaesthetist from the Port Moresby General Hospital. He also told the inquest he considered intubating Hamid, but the patient was “moving around, he was a little bit sweaty, and I sort of thought that we had to move him to the plane and once he settled down, then we can [intubate]”. During the 800km flight to the PNG mainland, the Cessna is rattled by severe turbulence. Hamid’s oxygen mask falls off and the team struggle to administer the drugs via the IV line. His pupils are still reacting to light but he’s agitated and confused. His Glasgow Coma Score is 12. After landing, one of the nurses in the International SOS team thinks he should be evacuated to Australia. She says this view at the time was made clear to her bosses back in Sydney. On arrival, Hamid is placed in a curtained cubicle in the ED at the Pacific International Hospital. Still yet to be intubated, he’s getting oxygen through a non-rebreather mask. The vital signs at this point are BP 162/84, HR 132, temperature 36.5C, SpO2 70%, RR 60, BSL 8.5. A hospital doctor who assesses him says he’s in septic shock. But there is little urgency from the hospital staff. It still takes another two hours before Hamid’s airway is secured. Later that evening, the IHMS employees who are keeping a wary eye on Hamid become fearful. He is still in the ED because the access ramp to the ICU is wet with rain and deemed unsafe. The other issue is that one doctor treating Hamid has received a chest X-ray image via the mobile application Viber. He believes he sees diffuse radiopacity bilaterally, and diagnoses pulmonary oedema and a chest infection. Dr Renshaw, who believes this hospital is the appropriate option based on the information provided by the Manus Island doctors about Hamid’s clinical condition, gets a phone call telling him of the changed diagnosis. He realises that, in the context of sepsis, the respiratory symptoms are more likely to suggest acute respiratory distress. He decides the care at the hospital is unravelling, and tries to get an International SOS medical team in Port Moresby to take over. 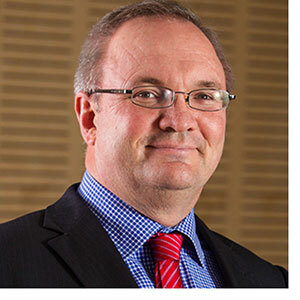 However, the team is under contract to care for Australian Federal Police personnel, so this will mean getting permission from the country medical director for PNG, who will in turn need the agreement of the commissioner for the AFP project. More phone calls, more red tape. It takes an hour before he gets approval to use the team. First on the scene is nurse Robert Miazek. He says that Hamid’s heart rate is about 150 and oxygen saturation is in the low 80s. The ventilator screen is showing inconsistent tidal volumes, but they’re mostly low. He suspects the ventilator is actually broken. Hamid is distressed, breathing rapidly, fighting for the oxygen. Mr Miazek reaches for the bedside ambu-bag to manually ventilate Hamid. But there is also a tear in the bag. It’s useless. The first cardiac arrest comes at 10.24pm. The International SOS team performs CPR for 45 minutes. There are further arrests at 11.10pm and at 11.27pm. Eventually he is stabilised and transferred out of the hospital to the AFP team’s ICU at another facility down the road. That night they decide to get him out. He is showing signs of brain death as he leaves PNG. Hamid makes it to Australia unconscious and is declared dead six days later. Hamid as a person is largely absent in the coroner’s report, a ghost save his occasional cries, delirium, flailing arms and an existence summoned from the vital stats as he journeys to his death. So it’s hard to judge what was destroyed by the failures of the detention regime’s healthcare system. We are left to fill the void with our politics on the asylum seeker question, a poor substitute for understanding the reality of Hamid’s life. But Queensland State Coroner Terry Ryan’s conclusions make for grim reading. It was during the hours before Hamid was transferred out of the detention camp that events started to turn against him. He needed transfer to a critical care facility in Australia, Mr Ryan concluded. But the “gravity of his clinical presentation” was not accurately represented by the Manus Island clinicians to those involved in organising the transfer. The coroner accepted evidence that if Hamid’s airway had been adequately managed — at the Manus Island clinic, at the retrieval stage at Manus Island airport, or on arrival at the hospital — it was “more likely than not that following his admission to the Mater Hospital, his infection would have resolved and he would have survived”. There is little rage in the coroner’s report directed at the bureaucrats. The failings were largely system-based. He makes reference to the process for medical transfers being “overly bureaucratic with no clear guidelines”. He then offers a few insipid jabs at the wider detention system, declaring it would be possible to prevent similar deaths by relocating asylum-seekers to other places, such as Australia or New Zealand, where better healthcare would be provided. But then he admits this is highly unlikely without the government making a fundamental revision of its broader policy framework. But there is a quote in the coroner’s report that captures the absurdity of Hamid’s death. He added: "I’m a doctor. I’m not a politician or a bureaucrat, and I must admit I don’t understand why you had to get permission to transfer a patient for clinical reasons." Clearly clinical reasons were never going to be enough to save Hamid's life. * Footnote: Was this the missed opportunity? Dr Renshaw flew from Sydney to Canberra on the day that he requested approval for Hamid to be transferred from Manus. He was there to take part in meetings with immigration officials. The inquest report says that Dr Renshaw "could have been in one of the meetings" with Amanda Little, who would be handling the request. The inquest report adds: "Ms Little knew that Dr Renshaw was involved in Mr Khazaei’s transfer request but could not recall whether discussing the request with Dr Renshaw occurred to her at the time ... Dr Renshaw recalled that Ms Little was involved in one of his meetings that afternoon and he knew that she would be involved in the approval process for Mr Khazaei’s transfer. "He did not raise the transfer with Ms Little because: 'There would have been no indication for me to do so without...information which would have been relayed to Ms Little by Ms Gow.' His evidence was that throughout the afternoon he was in meetings, and therefore had no idea whether the transfer had been approved, or not." * Footnote: The coroner said despite the doctor's claims that the equipment was broken, the clinic did appear to have a Piccolo Express point-of-care testing machine that was working at the time.